Workers Compensation: Does is Matter Who Is at Fault? Gary: Welcome to Burger Law. I’m Gary Burger. We have over two decades of helping and representing injured workers recover under Illinois and Missouri workers compensation systems. If you’re injured on the job, you’re entitled to recover regardless of whose fault it was. You don’t have to prove your employer was at fault, and it doesn’t matter if you’re at fault in contributing to your accident or your co-employee. 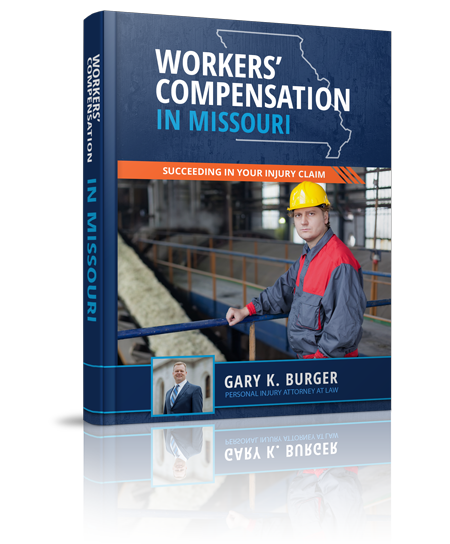 You’re entitled to very specific benefits under Missouri and Illinois workers compensation rules. Well, you can call us at 314-542-2222 or 618-272-2222. We’ll answer any questions for free. We’ll tell you whether or not we can help you in your workers compensation claim, what benefits you’re entitled to, and whether you’re getting a fair deal from your employer. I’d like to spend some time now talking a little bit more about workers compensation law. You know, if you make a workers compensation claim, you’re not filing a lawsuit against anybody. What you’re doing is you’re filing an administrative claim and probably your employer already filed a report of injury with the Missouri Workers Compensation Division or the Illinois Work Comp Division. By law, they have to. So, you’re just following up on an injury claim that’s already been filed, and we file a claim for you. We make sure that you get your benefits you’re entitled to. It includes two-thirds your weekly wages while you’re off. It includes having your medical paid for. It includes a lump sum disability at the end of the case. Many folks come, and they get treated fairly by their employer. That’s great. They don’t want to pursue the claim at the end of the case which is the gravum or the most important part of the claim is that disability claim at the end of the case. We don’t take a fee on the benefits that we don’t have to fight for. So, if you’re getting your medical paid for and you’re getting your TTD paid for, we don’t take a fee on it. It’s only the lump sum disability payment at the end. We take the standard fee, 20% in Illinois, the statutory fee, 25% in Missouri of the lump sum disability payment at the end of the case. Sometimes, we don’t have good and responsible employers insurers, and we navigate those and fight for those benefits as well. We fight hardships. We try these cases. We do all that kind of stuff. But first, why don’t I ask and why don’t I turn to Joel? This is Joel Beckwith with Burger Law. Joel, can you talk a little bit about how we start when we start a claim? What do we do for folks? Joel: Yeah, Gary. Workers compensation is a very state-oriented, state-by-state process. The first thing we do, we meet with the client, and we will evaluate their claim, file the administrative claim like you just discussed, and under the Missouri rules we’re entitled to a few things, namely thirteen-week wage statements and incident reports, and we get a hold of the evidence. We make sure the client is being treated, being evaluated by physicians if need be, and getting the care that they are entitled to. Gary: Okay, and so we meet them and interview them, and if they want to hire us, they sign a contract with us too? Gary: Okay. And then, how long do we wait till we file the claim? Joel: Well, I mean, it just kind of depends. I would say it’s a case-by-case basis. I mean, sometimes we file it right away. I’d say most cases, we file it right away. It just kind of depends. Gary: Okay. And then, what type of communication do we do with the client afterward, after they sign up for us? Or, they sign up with us and they never hear from us? Joel: No, we are always on them. We call them up, give them status updates, your employer if you’re injured on the job, your ability to be gainfully employed is very important, and so it’s important for us to make sure that we communicate very well with the workers compensation clients. Gary: All right. And then, what about, as the claim progresses, as they’re getting their treatment and going through, what else do we do? Joel: Well, we can evaluate their claim. There’s a process where we can get a client rated by a physician to kind of determine what type of disability that they sustained on the job. We’re going to file a hardship if we feel like the client is in desperate need of a recovery, then we can file a hardship, try to get them a bit of a recovery a little bit faster, so there are a few different things that we can do. 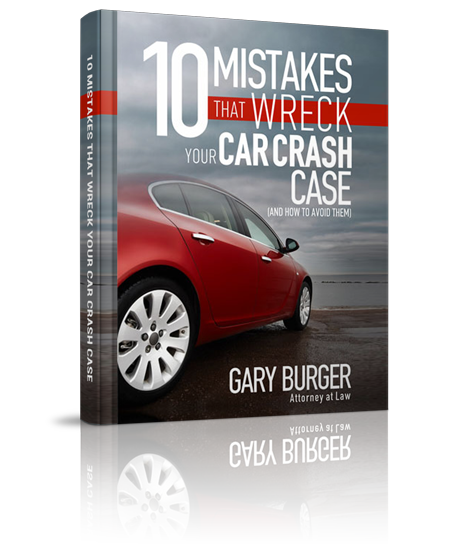 Gary: In the basic claim, we are filing the claim with the Workers Compensation Division. The employer insurer answers the claim and files an answer. We know who they are. We communicate with them about the claim, and then if you’re injured, if you’re 100% off, you get TTD, you get your Temporary Total Disability payments which are two-thirds of your weekly wage, which is why that wage loss statement that Joel described is so important. We need to establish your max wage because your benefits are a function of that, and then we help navigate the medical care that a client’s getting to make it sure that they’re being treated fairly. Once they have reached their maximum medical improvement or where they’re not going to get any significantly better with any doctor, then, what do we do? We try to settle the case? Joel: No, I mean, sometimes, but it just kind of depends. Gary: I think most of the time we do try to settle the case. What we do when the maximum medical improvement is reached, it kind of depends, you’re right, but in a vast majority, we’ll make a demand to settle the case. We don’t want the case to linger on. Work comp already takes too long as it is. What we’ll try to do is we’ll make a demand. Then, if the case doesn’t look like it’s going to settle or resolve fast or easily, what’ we’ll do is we’ll get the client rated by one of our physicians who’s going to review all the medical, examine you at our cost, and then is going to give a rating, and say what your disability is, and whether or not you need any further medical. We provide that to the other side, and that bolsters our demand. In the process, what we do is we also, in the administrative hearing process, we also ask for pre-hearings, mediations, and eventually trials. If we have a situation where the employer’s denying medical, that’s where the hardship comes in, but before we talk about that, and I do want to talk about some of the challenges that come. Let’s be clear. There are many responsible, great employers who stand up for their people and take care of them. However, there are also employers, insurance companies that do not, and those are the ones we end up spending.